William Howard Taft brings to the table a hefty range of executive experience. 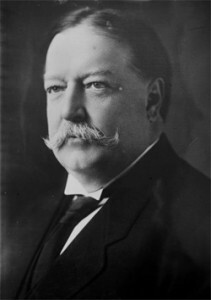 Unique among today’s crop of untested presidential contenders, Taft has actually served in the highest office of the land as President of the United States. During his term as the 27th Commander-in-Chief, he steered the nation through crisis, calamity, economic woe, and political gridlock—all of which we face today. Having also served as the U.S. Governor-General of the Philippines under President William McKinley and Secretary of War under President Theodore Roosevelt, Taft knows how to bring the full weight of government to bear while neither oppressing nor intruding upon the fundamental rights granted by our great, free society. 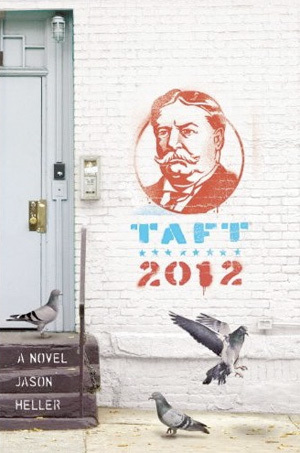 Taft’s deep passion for balance and justice stems from his Midwestern background and values. Born and raised in Cincinnati, Ohio, Taft honed his homegrown morals at Yale University, then later as a justice on the Ohio Supreme Court, as a federal judge on the United State Court of Appeals, and as Solicitor General of the United States under President Benjamin Harrison. Having served in the administrations of three presidents, Taft learned statecraft from a multitude of platforms and perspectives. With his strong judicial ethic always guiding his hand, he understands that governance is not a matter grandstanding or gamesmanship. It is a sacred trust placed upon him by the American people—the populace he proudly embodies. Why Taft? Why now? America is as strong as it has ever been, but it has strayed from its foundation. Not to belittle the youth of those who oppose him, but Taft came of age in an era when the world’s problems were not considered insoluble. He has not been incubated in the 21st century’s morass of entitlement, irony, and cynicism. He knows what it means to make sacrifices, to hold true to one’s convictions, and to survive in the face of adversity. Throughout his long life, he’s accrued wisdom that no other human being—and especially no other politician—has ever achieved. There is no better person to steer this great nation, to lift the mighty United States of America out of its current quagmire of inaction and insolvency. Taft rose once, and he will rise again. Paid for by Taft Party USA.